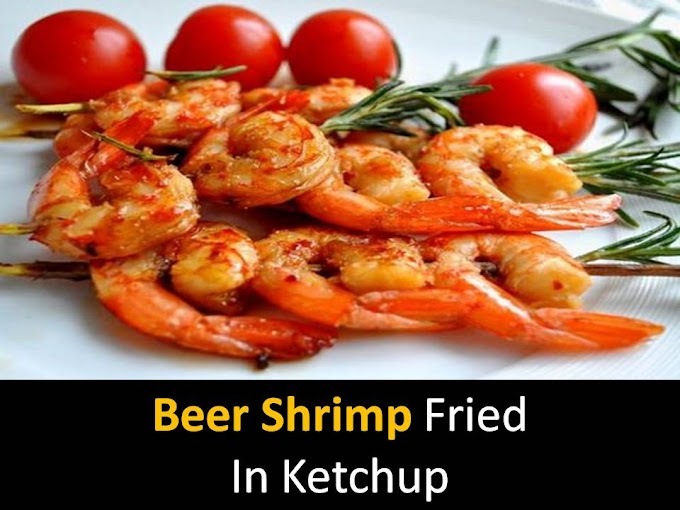 Shrimp baked in the oven recipe - a great snack for both beer and festive table; get ready fast and easy. This is my first added recipe, so the photo is only final please do not judge strictly, I hope everyone will like it. Boil water adds dill, pepper, and a bay leaf to the water. 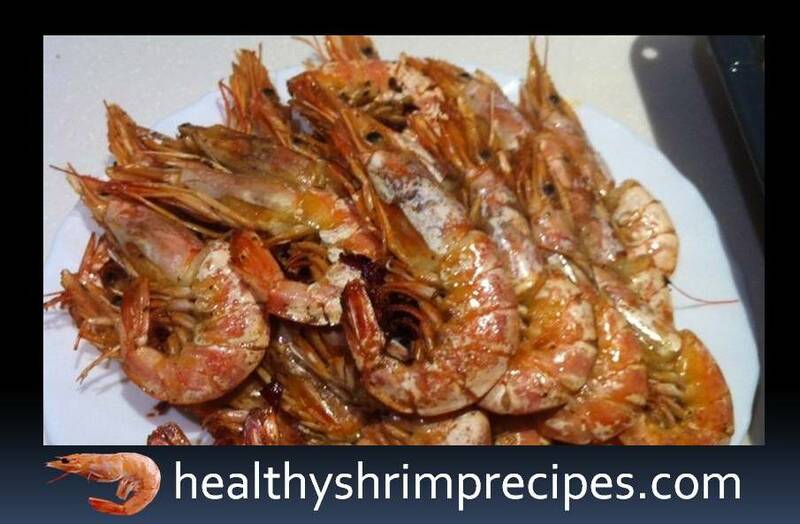 Pour the shrimp in boiling water and cook for 5 minutes (it is impossible to digest, which makes them hard). While the shrimps are boiling, we pour olive oil into the container; add seafood spices, petals of red sweet pepper, mix everything. Shrimp ready. The oven warms up to 190-200 * C.
Put the foil on a baking sheet, oil it with olive oil, spread evenly small pieces of butter, 50 grams, 2-3 cloves of garlic, cut into circles and also spread out evenly. We spread the rows of shrimps, grease them with a mixture of spices, bake for 5-7 minutes, then turn over and grease again with a mixture of spices, another 5-7 minute - and the dish is ready. Put the shrimps on the dish, cut the lemon into 4 parts, and lay them nearby. For the sauce, I mix paprika sauce and spices for seafood.